Zika virus, which has caused thousands of infants in Brazil alone to be born with abnormally small heads and neurological problems during the past year and a half, joins a suite of emerging and long-established diseases transmitted throughout the world by mosquitoes. The actual disease-causing agents are the viruses, bacteria or parasites that the mosquitoes pick up when they feed on the blood of an infected person or animal. 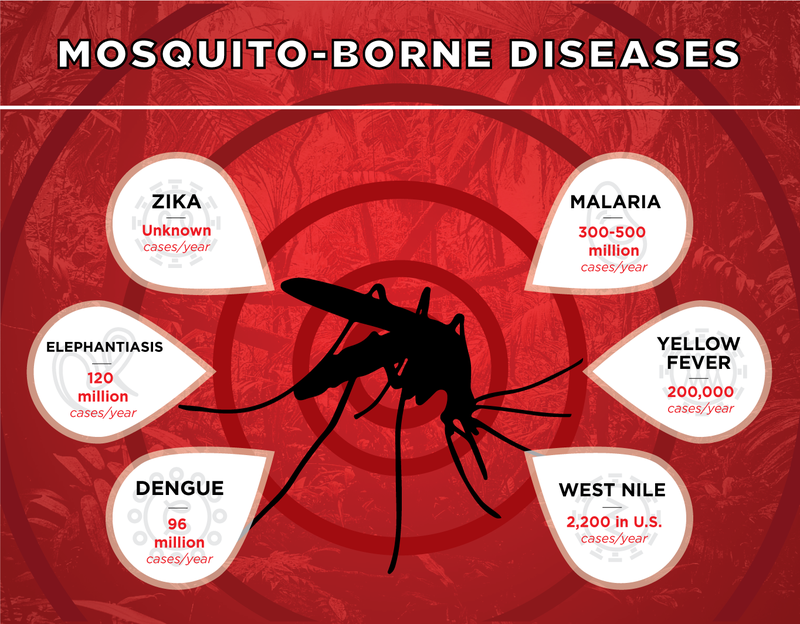 Below are details on Zika and several other important mosquito-borne diseases. You’ll find more information about Zika virus and diseases spread by mosquitoes, ticks and fleas at the World Health Organization and the U.S. Centers for Disease Control and Prevention. Also see UC Davis experts on Zika virus.